Recently, CPS CEO Claypool invoked the racist policies of the south to draw attention to inequitable state funding in Illinois. However, he refuses to acknowledge the ways Jim Crow policies have shaped school opportunity in Chicago, both in the past, and under his administration. CPS segregationist policies were made famous during the 1960’s protests of Willis Wagons, continued until they were forced by the courts to implement a desegregation plan in the 1980’s and 90’s, and have now accelerated during this decade. The racist results of segregationist policies continue, with massive school closures on the South and West sides, growth of disproportionately white selective enrollment schools, and continued expansion of segregated charters. The policies enacted under mayoral control were and continue to be, actively segregationist, with devastating and discriminatory consequences for students of color in CPS. 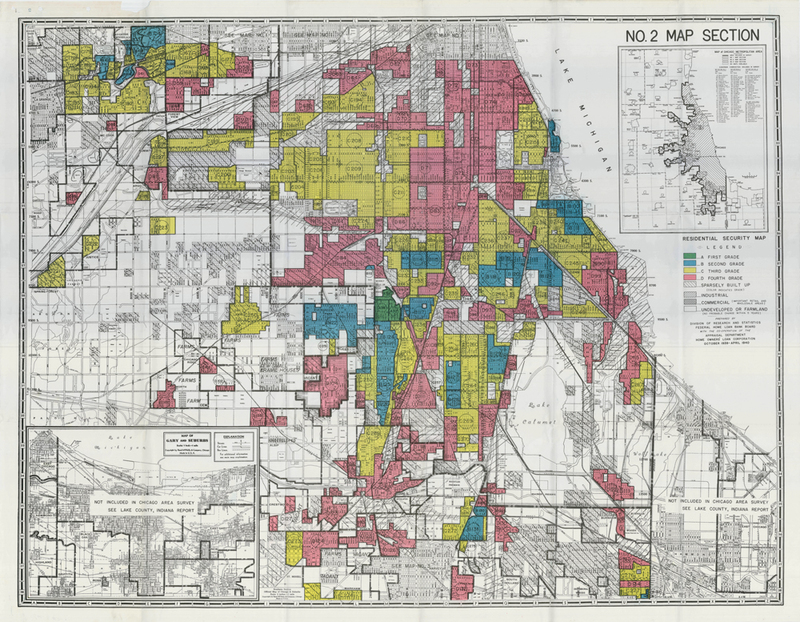 Massive school closures, privatization, and corporate school reform have both transformed and deepened segregation and resource-inequity across Chicago’s schools. In a paper titled “Segregation and inequality in Chicago Public Schools, transformed and intensified under corporate education reform”, published June 5, 2017 in the Education Policy Analysis Archives , the Education Policy Department of the Chicago Teachers Union examined the historic and contemporary dual segregation of Black teachers and Black students in Chicago Public Schools. The study showed how massive school closures, privatization, and corporate school reform have both transformed and deepened segregation and resource-inequity across Chicago’s schools. In Chicago, high-stakes testing, top-down accountability, the aggressive expansion of charter schools, the use of test scores to label and brand “failing” schools, mass closures and consolidations of neighborhood schools concentrated on the predominately Black South and West sides of the city, investment and growth of selective enrollment schools, have all significantly remade public schools. These reforms were mapped onto a deeply segregated and unequal school system. In many ways, the reforms are a continuation of the segregated and tiered schooling that have characterized Chicago Public Schools for over a century. 1. The numbers of Black students and Black teachers in CPS fell dramatically over the last few decades, but disproportionate numbers of Black students and teachers remained in segregated schools. 2. In 20 years, the number of schools with few (less than 10%) Black teachers and few Black students went from 6 to 145 (over a quarter of all district schools). 3. When desegregation was mandated by the court, Black teachers taught in virtually every school in the district. There are now many schools, and nearly 30,000 non-Black students, who go without the benefit of even one Black teacher in their school. 4. Student segregation has worsened in a similar way. In 2012, half of all non-Black students attended schools where there were virtually no Black students (less than 5%). 5. The expansion of charter schools created more segregated learning environments, and new racial inequities have arisen. In charter schools, students of color are subject to exclusionary discipline, lack of access to teachers of color, and lack of access to experienced teachers. 6. Under the corporate reforms predominating CPS policy over the last decades, the district has used segregation to institute policies that disproportionately impact Black students and teachers negatively. More school closings are still on the horizon and they will likely again impact Black schools most severely. CPS remains committed to peppering over their structural revenue shortfalls with annual teacher layoffs, and continues to pursue school turnaround policy. Federal class action lawsuits brought by CTU against the district have exposed the racially discriminatory nature of these policies. Charter schools continue to proliferate, some in the same Black communities where the most recent round of closures have left more abandoned boarded-up historic school buildings. Latinx students, now the largest ethnic group in CPS, face multiple segregations across poverty, race, language barriers, and geography that are also being compounded by corporate reform. Furthermore, CPS continues to spend millions building new schools without a long-term plan that emphasizes, or even mentions, ending segregation as a policy goal. In many instances, the cash-strapped district will build a new school to avoid integrating an overcrowded mixed-population school with an under-used predominately Black school. The state of Illinois does not have a monopoly on racist policies. CPS has in the past, and continues to this day, to carry out segregationist policies to the detriment of CPS students and staff. Pavlyn Jankov is a researcher for the Chicago Teachers Union. His research focuses on school inequality and segregation, how predatory financial institutions harm our public services, and how to right the ship! Enter your email address to subscribe to A Just Chicago  blog entries and be notified of new posts by email.